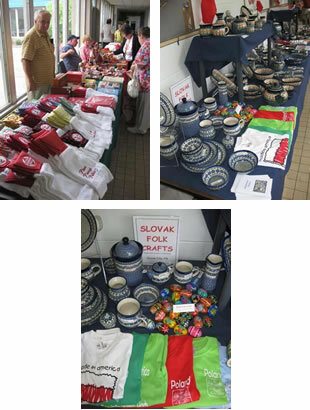 Filled by a variety of authentic vendors, our Sukiennice Marketplace gives you a chance to buy Polish items to take home with you. Scattered throughout the festival this year, come explore and discover everything from traditional, imported Polish crystal and toys for children to cookbooks, arts & crafts and t-shirts. Perhaps this is the year you will treat yourself to new pieces of amber and pottery! Our marketplace vendors pride themselves on providing shoppers with unique items that make ideal gifts or prized possessions for you to enjoy. Regardless what your interest, the Sukiennice Marketplace is your chance to capture some of the Polish charm from Polish Day and bring it home with you! Badurik's Butcher Block plus Polish Pottery and Polka Music!